Enjoy the Höri with all your senses: The “Radishes, onions and lettuce” gourmet bike trip introduces you to scenic and culinary highlights on the Höri peninsula. For centuries now, Höri farmers have been providing radishes, onions and lettuce to the markets of the region. The bike route runs along fields whose crops farmers sell by the roadside. The Höri-Bülle is especially popular—it’s a local type of onion, light reddish-brown in color, that grows only here and is a protected specialty throughout Europe. 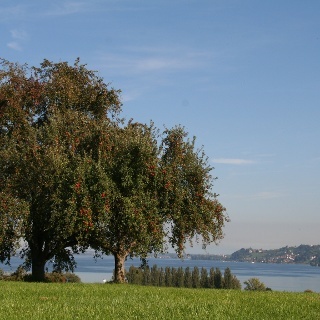 The natural shoreline of Lake Constance remains in view along the entire trip. The parking lot at the Horn Campground is an ideal starting point for this gourmet bike trip—you can rent bikes there, too. 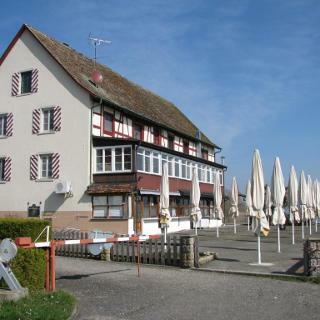 The first gourmet stop is the Seehörnle Hotel, located at the edge of the nature reserve, where you can energize yourself for the trip with bikers’ tapas. Then ride along the nature reserve to Iznang. You’ll find local farmers offering their fruit and vegetables from stalls set up along the roadside. The trip takes you past Albin Lang’s fish store (fresh and smoked catch from the lake) and Höri’s vegetable fields to Moos, where Hubert Neidhart will serve his fish soup at the Grüner Baum restaurant. Afterwards you can quench your thirst with fresh spring water from the Bettnang fountain. Continue to the Horn water tower, where you’ll have a fantastic panoramic view across the western end of Lake Constance with the Mettnau peninsula to the island of Reichenau and the Thurgau Seerücken. In the Hirschen Restaurant courtyard, the maître d’hote will spoil you with salad à la Höri and specialty sliced beef. Behind the Horn church, the trail leads you along old farmers’ gardens down to the Hornstaad Schlössli castle. Sit back and enjoy your scrumptious Höri dessert on the lakeside deck. 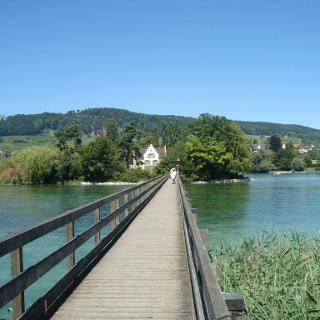 You can book this gourmet bike trip online via the Gaienhofen tourism bureau. 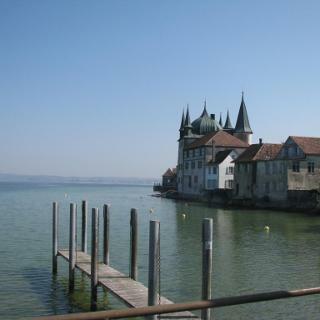 For lake lovers: Twice a week (Thursdays and Sundays) at 3:55 p.m. the MS Seestern departs from Hornstaad for a trip around the Lower Lake Constance. 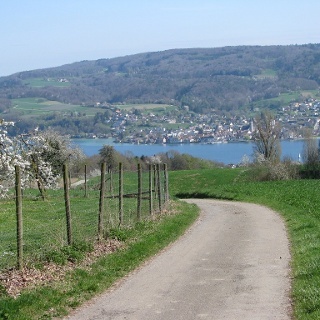 The “Radishes, onions and lettuce” gourmet bike trip can be booked online and via the Gaienhofen tourist information.